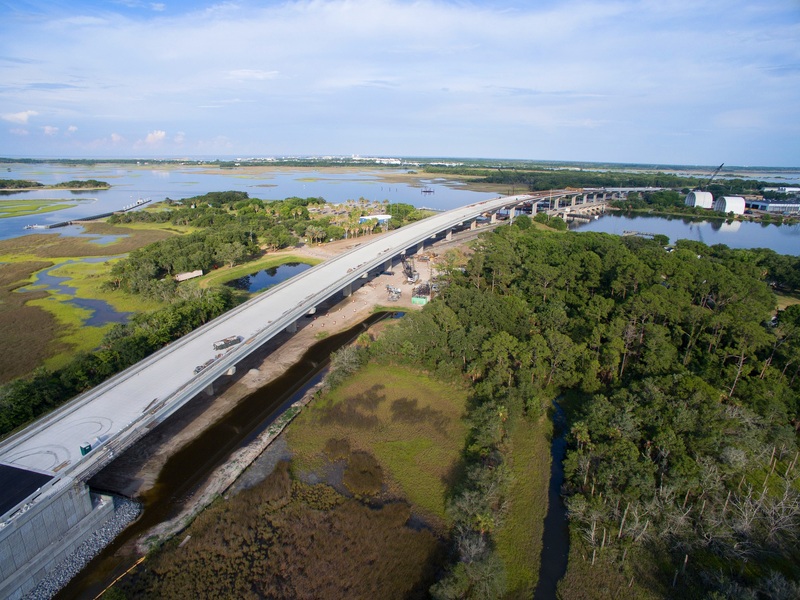 The Jacksonville-area Sisters Creek Bridge replacement, owned by Florida Department of Transportation District 2, opened to traffic in August, an important milestone in the life of this bridge. The $44.2 million project, begun in May 2014, replaces a 1950s era drawbridge with a modern, 65-foot fixed-level span. The project was built by Archer Western and designed by RS&H Engineering. HNTB served as the state’s project oversight representative, providing construction, engineering and inspection services. Removal of the existing bridge and final completion of the new replacement structure is expected this fall. “To date, this project has required an incredible amount of planning and coordination with Archer Western and RS&H, as construction had to be completed around pre-arranged work stoppages for fishing tournaments and other community events,” said Tom Woods, associate vice president and HNTB’s program manager for the project. 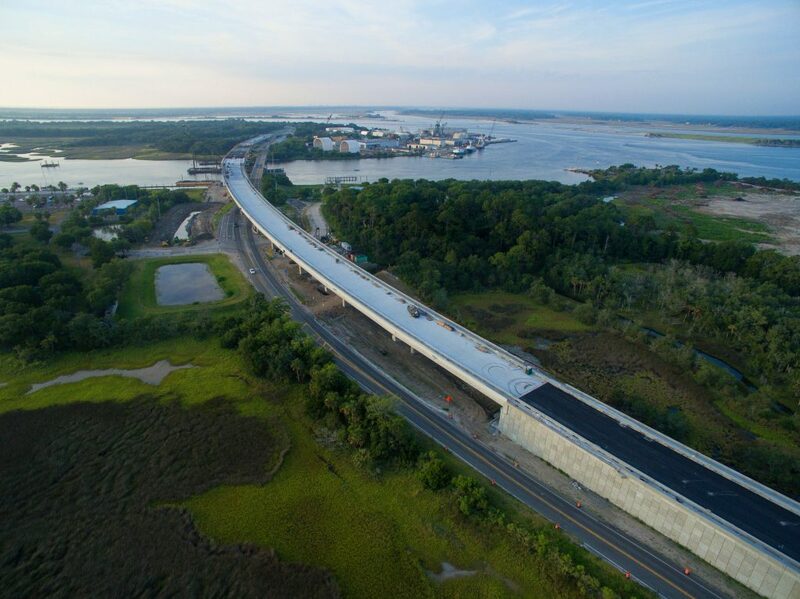 FDOT’s primary purpose for the bridge replacement was to improve access for hurricane evacuations for both vehicles going over the bridge and boats traveling underneath. The previously narrow channel underneath the old drawbridge will be extended to allow for 125 feet of horizontal clearance for marine vessels when the old bridge is removed later this year. The new bridge provides two 12-foot travel lanes, two 10-foot shoulders, and two 6-foot sidewalks on either side. In addition, the new bridge was specially designed to withstand possible ship impacts. It was built along the northeast side of the existing bridge. “The delivery of this portion of the project has been a team effort by Archer Western, RS&H, HNTB and FDOT,” said Woods. A grand opening celebration and ribbon cutting is planned for later this fall when all phases of the project are officially completed.